Gary Winckler is one of the top hurdles coaches in the world and also one of the most thoughtful and intelligent coaches out there. 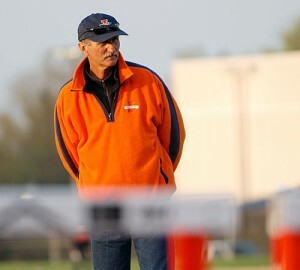 In 2008 Winckler retired after 23 years as a coach at the University of Illinois. During that time he coached over 300 All-Americans and more than a dozen Olympians. His two best known athletes were 2003 World Champion and Canadian 100-meter hurdles record holder Perdita Felicien, and 1996 Olympic 400-meter hurdles bronze medalist Tonja Buford-Bailey. Buford-Bailey’s best mark remains the fifth-fastest of all-time.